Raven is all dressed up with nowhere to crow! This is a perfect card to send for any Autumn or Winter greeting. 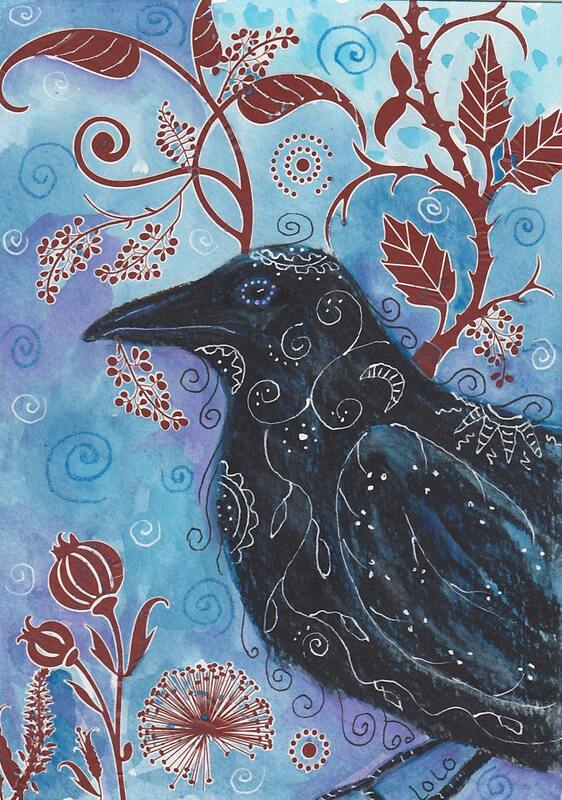 Being a fan of ravens I could not resist this fabulous card! I love crows/ravens. I have a friend who does too, so this will go to her.